Let Me Die In My Footsteps written while Gil Turner and I were in Toronto in Dec. 1961. I set out to say something about fallout and bomb-testing but I didn’t want it to be a slogan song. Too many of the protest songs are bad music. Exception being Which Side Are You On. Most of the mining songs are good. Especially the bomb songs – usually awkward and with bad music. Which takes a stand – no beating around the bush. 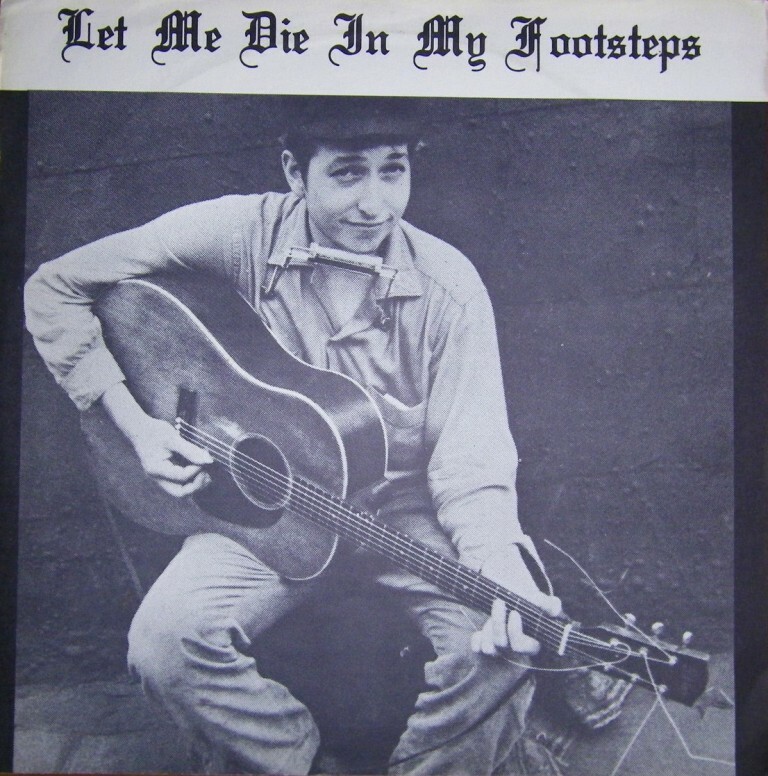 “Let Me Die in My Footsteps” is Dylan’s first anthem, in the sense that “Pastures of Plenty” and “This Land Is Your Land” and “This Train Is Bound for Glory” are anthems-songs people can unite around, that can be sung as an expression of belonging, to a nation or a faith or a cause. The song is a refusal to go into a fallout shelter or into the fallout shelter mentality (“I will not go down under the groundfCause somebody tells me that death’s coming round”), a fist shaken at the death in the soul that fear brings, in effect a statement that I would rather risk dying in the flesh than choose a living death, cut off from what gives life its value. @#191 on my list of Bob Dylan’s top 200 songs. “Let Me Die in My Footsteps” is a song written by American singer-songwriter Bob Dylan in February 1962. The song was selected for the original sequence of Dylan’s 1963 album The Freewheelin’ Bob Dylan, but was replaced by “A Hard Rain’s A-Gonna Fall”. This version was recorded at Columbia studios on April 25, 1962, during the first Freewheelin’ session, and was subsequently released in March 1991 on The Bootleg Series Volumes 1-3 (Rare & Unreleased) 1961-1991. A later version, recorded as a demo for M. Witmark & Sons publishing company in December 1962, was released in October 2010 on The Bootleg Series Vol. 9 – The Witmark Demos: 1962–1964. The song’s first release, however, was in September 1963 on The Broadside Ballads, Vol. 1, an album of topical songs compiled by folk musician Pete Seeger and Sis Cunningham, publisher of Broadside magazine. This version was recorded on January 24, 1963, with Dylan performing as “Blind Boy Grunt” (for contractual reasons), backed by his friend Happy Traum. Broadside had published the song’s lyrics under its original title, “I Will Not Go Down Under the Ground”, in the magazine’s third issue in April 1962. I would argue he reached his first real writing plateau a month before. In March 1962 he finally got a handle on what he wanted to say about “the bomb,” composing the majestic “Let Me Die in My Footsteps,” a.k.a. “I Will Not Go Down Under the Ground. 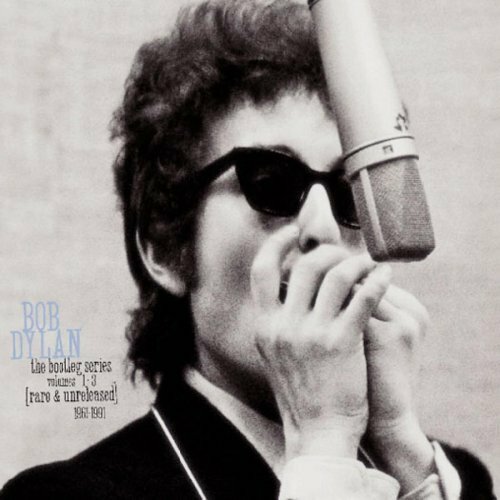 Released: The Bootleg Series (Rare & Unreleased) 1961-1991, Volume 1, Columbia 26 March 1991. Released: The Witmark Demos: 1962-1964. The Bootleg Series. 9, Sony Music 18 October 2010. Yet by December 1962, when he tried to tape it for his new music publisher, Witmark Music, he couldn’t even make it through the whole song, stopping after a couple of verses and calling it “a drag . . . I’ve sung it so many times.” The first flush of enthusiasm had evidently faded. Unsurprisingly, it became one of the songs pulled from the recalled version of Freewheelin’ the following April. First and only known performance: Finjan Club, Montreal, July 2, 1962. This song has been on my mind for about two years. I was in Kansas. Phillipsburg or Marysville, I think. I was going through some town out there and they were making this bomb shelter right outside town, one of those sort of Coliseum-type things and there were construction workers and everything. I was there for about an hour, just looking at them build and I guess I just wrote the song in my head back then, but I carried it with me for two years until I finally wrote it down. As I watched them building, it struck me sort of funny that they would concentrate so much on digging a hole underground when there were so many other things they should do in life. If nothing else, they could look at the sky, and walk around and live a little bit instead of doing this immoral thing. I guess that it’s just that you can lead a lot of people by the hand. They don’t even really know what they’re scared of. I’d like to say that here is one song that I am really glad I made a record of. I don’t consider anything that I write political. But even if I couldn’t hardly sing a note, or even if I couldn’t stand on my feet, this is one song that people won’t have to look at me or even listen closely or even like me, to understand. Terrific song–much better than the strident Masters of War!